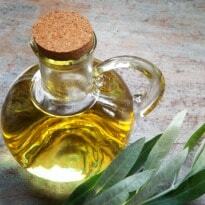 Olive, Sunflower Or Canola - Which Oil Is Healthier? With a wide variety to chose from, we often find ourselves wondering which cooking oil is the best for us. Since each holds a different set of pros and cons it is hard to pick one. According to leading health expert Dr. Shikha Sharma, "Changing or rotating oils is healthy as it gives the body the different essential fatty acids which it needs. Normally, no single oil has all the essential fatty acids and the fatty acids ratio which the body needs.For example we need a judicious combination of mono-unsaturates, poly unsaturates and saturated fatty acids." Recently, Vitamin E rich oils like canola, soybean and corn have shot to fame owing to their health benefits but this new research has something surprising to offer. According to a study conducted by Northwestern University's Feinberg School of Medicine, allegedly healthy Vitamin E-rich oils like canola, soybean and corn - may lead to lung inflammation and, possibly, asthma. These oils contain Vitamin E in the form of a compound called gamma-tocopherol which may adversely affect the functions of the lung, the study reports. On the contrary, the other form of Vitamin E, alpha-tocopherol, which you may find in olive and sunflower oils, does you good. "This is the first study which shows that gamma-tocopherol is associated with worse lung function," said senior author Joan Cook-Mills, an associate professor of medicine in allergy/immunology at Northwestern University. While comparing the proportion of asthmatic pateints in various countries, she noted that those with significantly lower rates of asthma consume more olive and sunflower oils. "People in countries that consume olive and sunflower oil have the lowest rate of asthma and those that consume soybean, corn and canola oil have the highest rate of asthma," Cook-Mills claimed. When people consume alpha-tocopherol, found in olive oil and sunflower oil, it improves their lung functions, she added. The study examined 4,526 individuals from the Coronary Artery Risk Development in Young Adults Study (CARDIA). The CARDIA results for individual lung function tests at four intervals from baseline to 20 years were recorded and studied. It was found that a high level of gamma-tocopherol was associated with a 10 to 17 percent reduction in healthy lung functions. "The blood plasma showed how much they had acquired it in their tissues. You get vitamin E from your diet or supplements. A 10 percent reduction in the lung functions is like an asthmatic condition. People have more trouble breathing. They take in less air, and it's harder to expel. Their lungs have reduced capacity," she warned. Besides this, olive and sunflower oil is better for the heart than canola oil, though all three are good sources of heart healthy monounsaturated fats. Another recent study showed that it is olive oil that makes a Mediterranean diet healthy as a combination of olive oil with veggies helps to reduce blood pressure and the risk of other heart ailments.